YardDoc is Leander’s solution for everything from basic lawn care to comprehensive landscaping services. Our team of experts is armed with the training and tools necessary to care for and maintain your yard. If you want a beautiful landscape then let YardDoc create it for you. We offer a wide range of landscape solutions that we can customize to match to your wants and your budget. At YardDoc, we have the knowledge to take care of your landscape. We utilize the appropriate equipment for the particular job and we are licensed to manage the nutrient and pest control needs of your landscape. YardDoc will take care of your lawn during every season. While some people believe that one fertilization in the spring months creates a healthy lawn, that is not the case. Limestone, clay, and sand are all abundant soil types in Leander. Each of these types requires specific care, which is why it is advisable to bring in a professional. We will ensure your lawn looks gorgeous while also enhancing turf health. From new installations to selective plantings or creations, including plants, beds, trees, hardscapes, paths, fire pits, outdoor kitchens, pergolas. From 3D designs to replacing a single plant, we can help. We don’t try to fit you into our needs. Our wide range of services can be customized to fulfill your unique situation and fit your budget. If you’re starting from scratch, we can help with our 3-D design service. Replacing just a single plant? We can do that, too. We can install anything you dream up. Looking for inspiration? Check out our Landscape Installation and Design Portfolio. We have the expertise and the license to control the weeds and insects plaguing your landscape. We ensure the health of your lawn with a combination of aerating the soil and guaranteeing that the appropriate blend of nutrients and herbicides are being applied at the right time for optimum results. Cutting and edging services create an attractive presentation conducive to the long-term health of the turf. We are known for specializing in landscape remodels! Any landscape can be completely transformed into a showplace utilizing YardDoc’s unique, creative approach to design coupled with our plant and material expertise and experience. A landscape oasis can be achieved with rich colors and shapes and foliage suitable for the climate of Leander. Fertilizer is lawn food. The wrong food makes your body sick and the wrong fertilizer applied at the wrong time sickens your lawn. YardDoc utilizes a custom approach to fertilization. You can rest easy knowing that we apply the right mixture of ingredients specifically designed for your lawn’s needs. The correct amounts are applied to your turf receives steady nutrition on the appropriate time table. Welcome your family and friends into the nighttime oasis that YardDoc creates in your outdoor space! Our design team will work with you to create a design around the needs of your household and your budget. Weeds steal the resources your yard needs. Your landscaping shouldn’t have to compete for nutrients, water, and sunlight. YardDoc employs environmentally conscious techniques to ensure your yard is full of healthy plants and shrubs with vibrant blooms instead of weeds. Who wants to drag a hose around instead of enjoying the yard? Don’t waste one more minute on an inefficient, time-wasting watering system! YardDoc will install time-controlled irrigation so you can get back to more pleasant activities. Maintaining healthy trees requires skilled pruning. Protect your property and help your trees flourish by utilizing YardDoc’s professional tree pruning service. Mulching is an excellent, eco-friendly method of controlling weeds. In addition to preventing weeds before they take root, it also cuts down on moisture evaporation, giving plants more time to absorb the water. Your beautiful landscape will really stand out when framed with the well-defined lines of professional edging. Utilize YardDoc’s combined design and landscaping expertise to create distinct barriers from a wide variety of materials. Aeration improves the absorption of air, moisture, and nutrients to create lush, green lawns. Call YardDoc today to discuss your landscaping design or lawn maintenance needs. 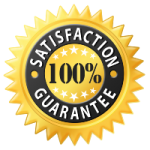 We look forward to providing you with a free quote.